A very professional 28 pages scientific study has shown clear reducing of inflammation, stress levels and other symptoms in listening to the frequencies i’m using only 3 times, for 35min each time, during a 7 days period. U : Ok. Was it negative of positive ? • When debt is fraudulent, debt forgiveness is the logical and only remedy. • Debt or credit which cannot be paid back is never an asset; it is always a liability. • All debt which charges a percentage originates in delusion. Debt grows exponentially indefinitely; income and other financial growth cannot do this. • The total amount of money in circulation today in the West can only pay for a tiny fraction of the total private and public debt in the West. This fact is evidence of systemic fraud. • Debt is manufactured through fraudulent means to reward a creative criminal élite. • If the intention of a financial transaction tied to a loan, or tied to a financial inducement, is extortion; if it is, in effect, an élite bankster scheme to bamboozle the borrower with small print or to blind him with science, that loan or inducement, should be struck off the record immediately and completely. The debt was not incurred with the informed consent of the borrower. The debt did not benefit the borrower. And the élite lender was well aware of these facts when the loan papers were settled and signed. • You cannot solve the debt problem by issuing more debt. You solve the debt problem by cancelling, completely, all national, corporate and personal debt. You do this simultaneously across the planet, and you do it permanently. (Alcuin Bramerton) You don’t need a slide rule, a set of log tables or a high frequency trading algorithm to see the light. Everyone on Main Street now knows that the Western banking cartel’s fixation with debt colonisation is a busted flush. Debt does not work as the basis of a global financial system. 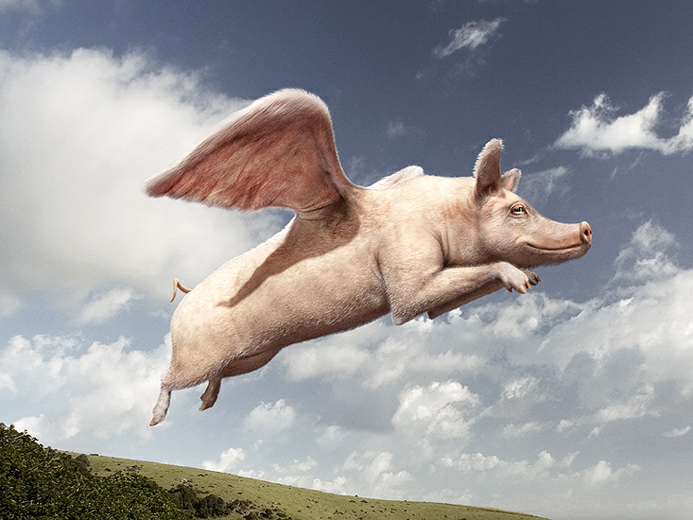 Behind the scenes, all the indications are that universal debt forgiveness is set to be announced. A global debt jubilee is waiting in the wings. The Doctrine of Odious Debts has been spectacularly revisited. The default position of the global financial system is to be permanently reset. The vaults are stocked. The precious metals are audited. The new gold-backed regional currencies are printed, minted and ready. The most recent catalyst for change has been Iraq. Before the Western cabal’s US-UK war of occupation and plunder began in Iraq in March 2003, Iraqi exiles expressed the hope that in a post-Saddam democratic Iraq, there would be a fair and equitable disposition of Saddam’s debts. These Iraqis wanted the future administration of Iraq and the international community to review the debts accumulated under Saddam’s régime. Those loans which had been used for benign purposes should be restructured and paid back by Iraq over a prudent time period. Those loans which were used for objectionable purposes and which did nothing to enhance the well-being or prosperity of the Iraqi population at large, should be struck off the record immediately and completely. This illustrates one of the core principles of debt forgiveness. Why should Iraqis be forced to repay the US, the British, the French, the Germans, the Russians, and all the others who had financially supported Saddam’s oppression of them? The Iraqi argument for debt forgiveness had a sound basis in law. It reflects the century-old legal principle of the Doctrine of Odious Debts. (1) The debt must have been incurred without the informed consent of the citizenry of the state. (2) The debt must not have benefitted the citizenry of the state. (3) The lender must have been aware of conditions (1) and (2) at the time that the loan papers were signed. The United States employed these principles after the Spanish-American War to repudiate the Cuban debts. If a despotic power incurs a debt which is manifestly not for the needs of the State, or not in the plain interest of the State, but is a debt incurred solely to strengthen the position of the despotic cabal as a self-serving faction within that State, the debt is odious. The debt is not an obligation for the nation; it is a cabal debt, a personal debt of the cabal which incurred it. And the debt falls with the fall of the cabal. The Doctrine of Odious Debts not only promotes accountability, it promotes democracy in the debtor state as, one by one, the nature of the inherited debts are articulated in a public legislature. The Doctrine of Odious Debts also promotes democracy in creditor states. In Canada and most European nations, the lending of state enterprises is generally hidden from taxpayers. Canada’s export credit agency, Export Development Canada, for example, is exempt from Canada’s Access to Information law. In the case of Iraq, state agencies from France, Germany and Russia may have made questionable loans. Under an odious debt process, they would need to establish that they acted with due diligence to be entitled to repayment. Knowing this, they would be less likely to make questionable loans in the future. Debt forgiveness and the Doctrine of Odious Debts also applies to individuals. The same principles have legal traction on loans or structured financial inducements made by financial institutions such as banks, mortgage lenders, insurance companies, stock-trading entities, energy conglomerates and pharmaceutical firms. If the intention of the financial transaction tied to the loan, or tied to the financial inducement, is extortion, if it is, in effect, an élite scheme to bamboozle the borrower with small print or to blind him with science, that loan or inducement, should be struck off the record immediately and completely. The debt was not incurred with the informed consent of the borrower. The debt did not benefit the borrower. And the lender was well aware of these facts when the loan papers were signed. Universal debt forgiveness is on the way as an essential precursor to the planet’s new gold-backed financial system. It has deep historical roots and powerful support in natural law. This imminent global debt jubilee is organically related to the disbursement of The World Global Settlement Funds, to the long-planned public NESARA announcements, and to the opening of Pandora’s Suitcase. More background about the concept of the Odious Debt can be found here (pdf – 11 pages – Jayachandran and Kremer) and, in the specific context of Greece in 2011, here. Murray Rothbard’s original 2004 piece on Repudiating the US National Debt can be found here. And The Center for Global Development’s 2010 review entitled: “Whatever Happened to the Jubilee? A 10th Anniversary Assessment of the Debt Relief Movement” is linked here. But other economists have been vocal on the debt forgiveness issue as well. In particular, Zeus Yiamouyiannis (plus here, here and here), Steve Keen (plus here) and Michael Hudson (plus here). Citing both Keen and Hudson, Yiamouyiannis is persuasive. When debt is fraudulent, debt forgiveness is both the logical and the only remedy for the situation. Whatever the name you give to the process – erasure, repudiation, abolishment, cancellation, jubilee – debt forgiveness will eventually have to emerge at the forefront of global efforts to solve the ongoing systemic financial crisis. The only way to erase counterfeit money and counterfeit assets amounting to hundreds of trillions of dollars is to erase the debts associated with these fake assets. They are not toxic assets. They are fake assets. Debt forgiveness accomplishes two important things. First, it eliminates the increasing and outsized portion of productive enterprise which is being employed to pay off unproductive obligations. Second, it clears the ground for new opportunities, new thinking, creative invention and positive entrepreneurialism. Stentorian calls for austerity are nothing more than the delusional efforts of a fraudulent bankster status quo to avoid the consequences of its own error and fraud. The élite demands for austerity are a self-serving effort to kick the profit-can down the road in perpetuity. So bedazzled by the false wealth created by debt multiplication and its concomitant fantasy of ever-higher returns, the fraudulent bankster status quo continues to be stupidly amazed that ordinary people in the street are not spending money, and that the national economy is not picking up. Productive human wealth has been trapped by establishment banksters in a web of parasitic theft, counterfeiting, liability evasion, non-regulation, and prosecutorial non-accountability. All the fundamental attributes of a functioning exchange economy have been warped to reward creative criminals. Fabricated or parasitic so-called “wealth” destroys value by diluting the value of real productive wealth. Debt or credit which cannot be paid back is never an asset; it is always a liability. That some people in the market can be fooled into buying such liabilities and thus generate sale profits and transaction fees is risible. The operating models upon which the modern debt nexus is historically based have no organic contact with reality. They assume unlimited growth and an unlimited ability to pay. When matched against the reality of real people paying ten times their salary for mortgages, which actually add more money owed to their principal (with negative amortization), require no money down, and set up balloon payments – large step-ups in payments after a few years – there is no possible way such people could not default within a predictable timespan. Systemically, all debt which charges a percentage originates in delusion. Debt grows exponentially indefinitely; income and other growth cannot do this. This leads to a widening condition where the fruits of productive growth devoted to interest payments increase until those fruits are entirely consumed. Once this happens, stores of wealth (hard assets) begin to be cannibalised to make up the difference. You can see this now in Middle America where, absurdly, people are having to liquidate their retirement accounts to pay for their current cost of living. The problem is compounded by a privately owned Federal Reserve syndicate which lends money into circulation at interest, and then allows the multiplication of this consumer debt-money liability through fractional reserve banking. The total amount of money in circulation today can pay for only a tiny fraction of the total private and public debt. This fact alone is evidence of a kind of systemic fraud. This is why debt forgiveness makes not only moral, but also rational and mathematical sense. Finances require balancing to be coherent. There has to be some way to redress the systemic imbalance in Western macrofinance. There has to be some way to zero the scales in order to get an accurate weight of value, and to re-establish healthy value creation. The problem with debt is that it creates scarcity. Scarcity stimulates fear. Fear drives manic competition. And manic competition favors opportunism, collusion, and concentrations of power. These élite concentrations of power translate into establishment abuse. The inevitable result is a visible collapse of legitimacy within the economic system. This is what is being seen now, all over the Western World, by Joe Public and his missus. Debt forgiveness recognises the inherent, systemic, mathematical inability to make good on debts, and (or) the naked fact that the debt itself was manufactured through fraudulent means. The foregoing twelve paragraphs précis some of the ideas which Zeus Yiamouyiannis has suggested in his writing on debt forgiveness. The best brief summary of his thoughts is probably here (01.09.11). The situation is plain. You cannot solve the debt problem by issuing more debt. You solve the debt problem by cancelling, completely, all national, corporate and personal debt. You do this simultaneously across the planet, and you do it permanently. And then you recapitalise the whole bangshoot using an established resource base such as The World Global Settlement Funds and the associated US Dollar Refunding Project. This next bit sounds exotic. But in future years it may well sound like a blinding glimpse of the obvious. You don’t establish the value of something by sticking it in a market. You establish the value of something by giving it away free and seeing what social value accrues as that something is used locally to energise cooperative livelihoods and free barter. Interestingly, the core idea of global debt forgiveness is not restricted to the benevolent ivory towers of economic utopians. It is beginning to be talked about, in public, by national parliamentarians. Your time in the dark is indeed coming to a most glorious end! Many events that signal an end to this awful reality are beginning to manifest. Selamat Jarin! We return in Joy! Those earthly allies in charge of seeing that the international transfer of currency is done correctly and without bias are ready to shortly begin a process, which is to lead to the global distribution of your blessings. They are finally testing the new system. This system is tied to the global currency reset. In addition, this process is eventually to produce the conditions whereby the NESARA legislation can at last be enacted in the U.S. and globally. New governance is the most important goal for us. We have watched the old pro-cabal regime’s cover-up and global misinformation campaign about us. The new governance is to transform this odd policy into full disclosure. This policy can permit us to be more open about our daylight activities. We wish to show you that we are benevolent. We can then complete projects that require us to perform maneuvers to remove the latent dangers from Fukushima radiation in your oceans, air and water. In addition, we wish to land temporarily and check out a number of Gaia’s special grid nodes. We need to perform tests that put our scientists in a number of places around your globe. Gaia needs to be aided in her efforts to preserve her many ecological life zones. At some point, the surface of your planet is to require a very massive make over. We have used our efforts to do what is, in essence, your job to preserve this global environment. Ever since your western European business models became the norm, your world’s surface has suffered. Where once there was immense forestland, you now see vast destruction of traditional habitat. We are not advocating a continuance on your world of certain primitive realities. What we wish is for you to use a number of advanced technologies to preserve and expand habitats. We intend to introduce devices that further increase the technology you already possess. What you now lack is the full commitment to do so. New governance can change this important element and allow you as a people to succeed with rapid ecological damage control. These series of actions can quickly renew the vital relationships between your global societies and Mother Earth. More importantly, this can teach you how truly valuable such unselfish acts are! What is happening to you is a seemingly slow, but in reality, is a swift march to full consciousness. Heaven is determined that you evolve back into galactic humans. Hence, Heaven decreed to our spiritual councils that we send our fleets to monitor you daily. Over each succeeding decade, we have gotten more deeply involved with the process to shift this society of humans from the darkness of the past 13 millennia to the awesomeness of the Light. This process has proceeded among you more slowly than we wanted. Yet, our purpose remains to be the true representatives of Heaven’s mission on this world. At first, those involved with this heavenly transformation were somewhat leery of our constant presence. It has taken over a decade to resolve these worries fully. Our diplomatic corps as well encountered a stone walling from your governments. However, all has changed for the better in the past few years. With our help, those representing the Light have won a number of very vital court decisions. In addition, our technologies have prevented the dark from stealing a great deal of the Light’s precious assets. These events forged a true alliance between our now earthly allies and brought panic to the cabal. Both sides now permit us to have true exchanges with them. These meetings helped us to develop a real set of strategies with our earthly allies. Similarly, the cabal’s representatives are beginning to see us in a newer light. We are Heaven’s galactic option. Many of the events to be staged to crush their opposition are currently seen as impossible and were recently abandoned. What is left is a charade that goes on daily between governments, the press and the Internet’s slew of rumors. This is to continue until the present system is either victorious or else defeated by the Light. We are here to ensure Heaven’s grand victory. Your time in the dark is indeed coming to a most glorious end! Many events that signal an end to this awful reality are beginning to manifest. It is our task to finish these preliminaries, then land, and with great joy meet you. At that time, our mentors can take you toward the wonders of full consciousness! Namaste! We are your Ascended Masters! We arrive with great blessings! Our earthly associates are busily testing and preparing to approve a system for carrying out the delivery of your prosperity funds. There are as well a number of groups that are preparing to manifest the U.S. NESARA legislation. The U.S. Supreme Court initially sequestered this legislation at the turn of this millennium. The time arrives to take this extraordinary document public. Various individuals are finishing plans that are to bring these documents out of the surreptitious protection they have long enjoyed. When this happens shortly, it is to mark the return of your true republic, and the need to dearly protect it. As Masters, we deeply bless this and know that this great change is to be a peaceful one. This transformation of rule is to be the start of a greater alteration, which is to signal the end of cabal rule. You are to be introduced to clean and transparent governance! Constantly remember that all of this is a divine blessing. We thank those of courage and of magnificent abilities who made all of this possible. We thank as well each of you who have long held this vision and permitted your great energies to be added to all that we do. This work has taken a number of millennia to accomplish. Now it is you and your prodigy who are to gladly taste this most delicious fruit. Be ever grateful to Heaven and ready to praise all who have come from afar to aid you in this cause. We are watching each of you grow in consciousness. And gracefully use your new abilities to help these most arduous proceedings to succeed. You are now to watch as many that you did not know, rise and in unison help Gaia and this “global village” you reside in, to alter and produce a new reality. It is this reality, which is to welcome your greater family. 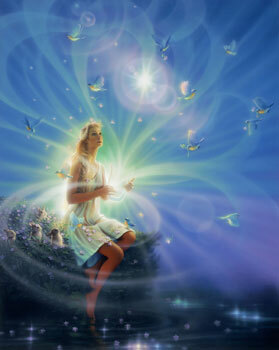 The wondrous spiritual energies are there to alter this reality and ready you for your crystal Light chambers. This special living Light is to give you back what the Atlanteans took from you. You are to expand this large band of Masters and complete the work began long ago in ancient Lemuria. 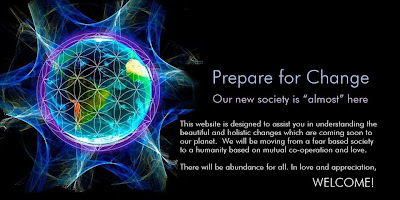 You are to see the rebirth of this solar star nation and to use your powers to greatly increase the meditations and prayers that we perform daily to help the Earth and her sister worlds. Our Sun contains a mighty Spirit, which welcomes you in joy to this new realm. The darkness served a purpose. You are to use its acquired wisdom, much as we have, to transmit the power of the Light everywhere. We are to supervise and guide you on your next journeys. There is much that Heaven desires to give you instruction on. As ones in divine service, we await gladly what Heaven so desires. Hosanna! Hosanna! Hosanna! Today, we continued our message! This world is changing. As it does, it brings you ever closer to the glorious realm that you have long awaited! Your patience and your frustration are hereby acknowledged. We simply request that you thoroughly enjoy the wonders that are to appear! Know, dear Ones, that the countless Supply and never-ending Prosperity of Heaven are indeed yours! So Be It! “And so here we have another Sunday and you still have no packet. Telechronics have activated within Gaia Hue-manity. Rapidity of hu-being upgrades is noted. Serenities of Higher Light are sensed by all.